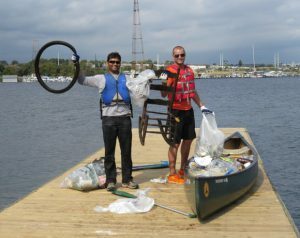 Canoe and kayak enthusiasts are warmly invited to be some the first paddler shoreline cleanup volunteers in our famous event’s long history! All you need to bring is your own vessel, life preserver, and paddle. We provide trash bags, grabbers, sunscreen, as well as food and fun at the volunteer AfterParty! Paddler Cleanup Questions? Please call Geoff at 512-498-1587 or email him at geoff@coloradoriver.org.